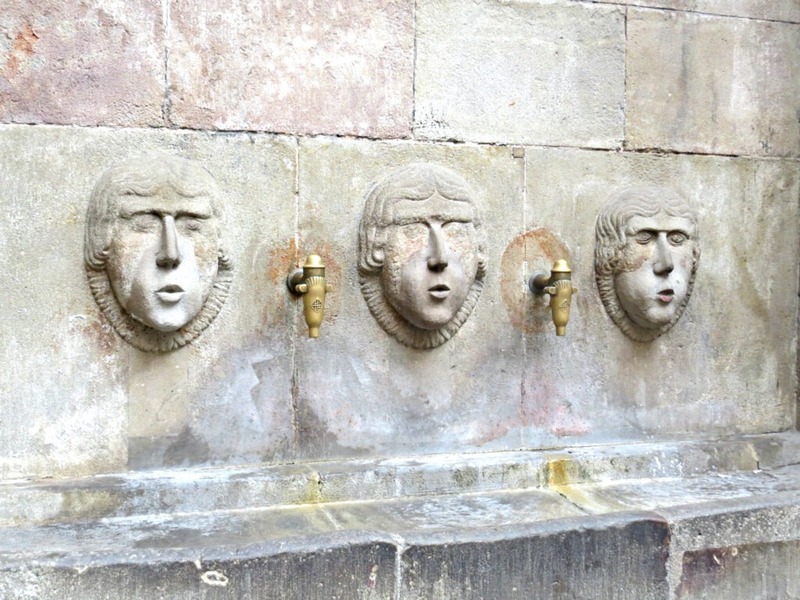 Barri Gótic: A Walking Tour - TA TA, CHEERS! 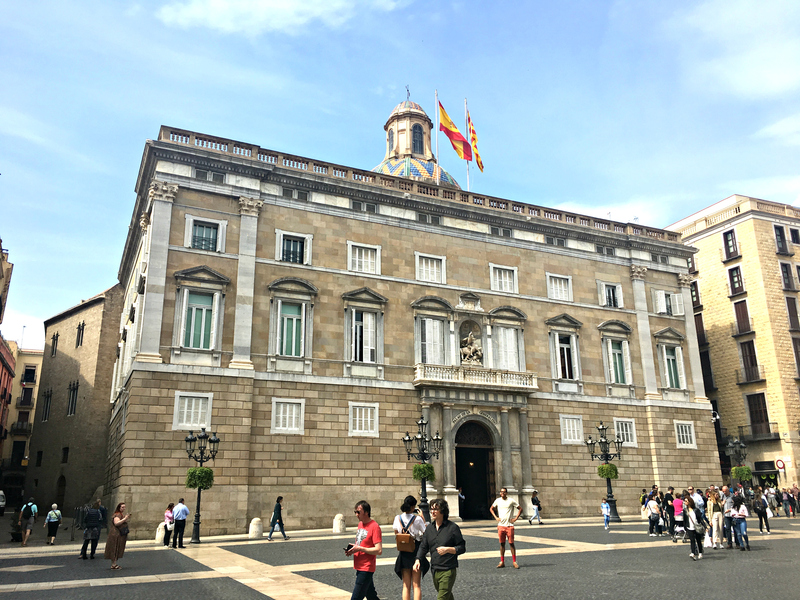 My first trip to Barcelona back in September 2015 was filled with so much excitement that I could barely handle both the trip and starting a travel blog. I was overwhelmed by all my photos and thoughts, so it took quite a while to break down all my experiences in Barcelona. 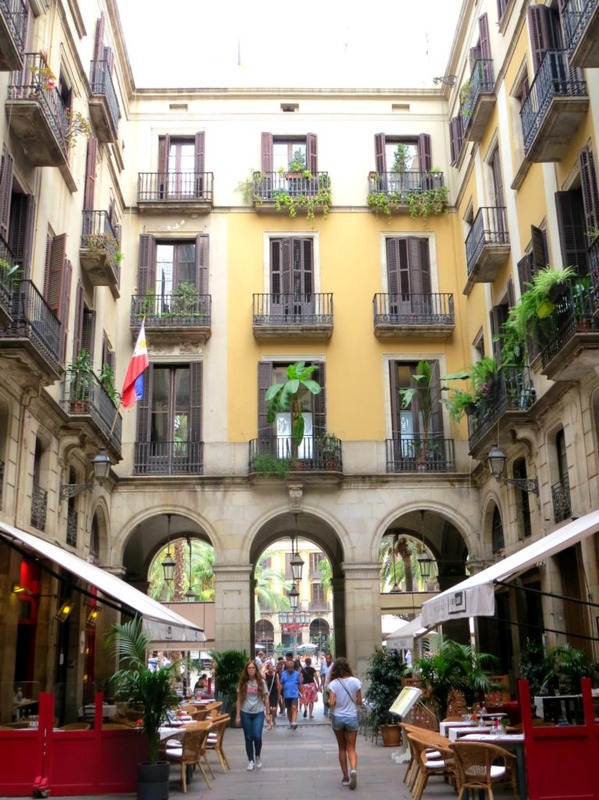 I am so fortunate to have been able to go back to Barcelona time and time again, and I finally feel like I’m becoming more of an expert than my Barcelona boyfriend. 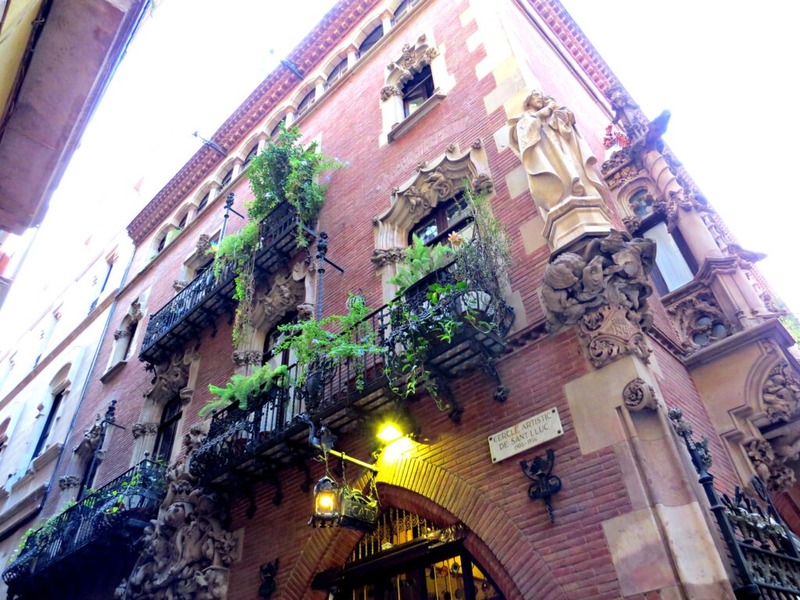 There are so many ‘must-see’ areas in Barcelona and the Gothic Quarter is one such area. 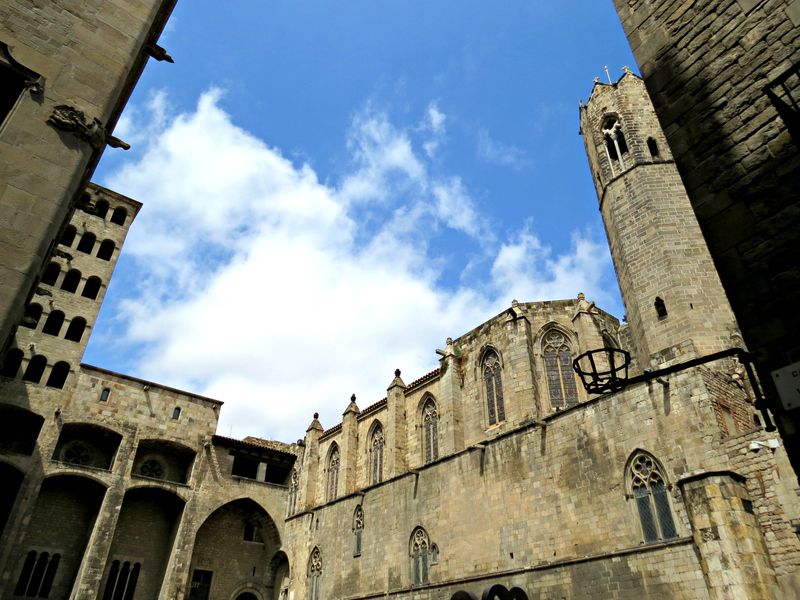 The Gothic Quarter, or Barri Gòtic in Catalan, is the old city centre of Barcelona. 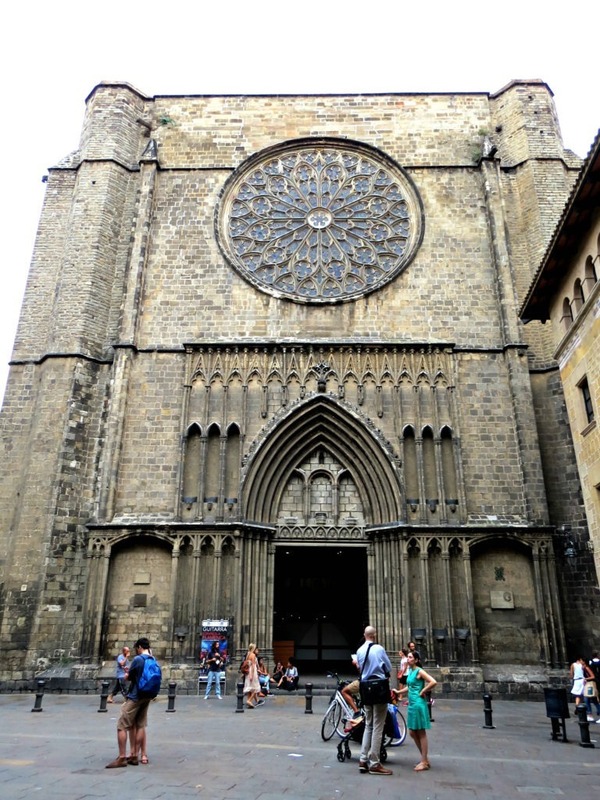 Many of the buildings date from medieval times, some even from as far back as the Roman settlement of Barcelona. 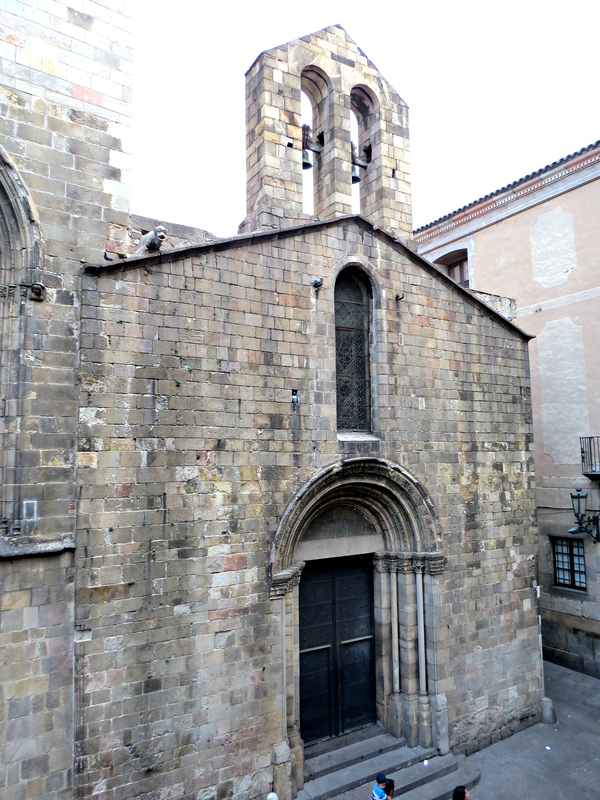 Starting out on the east side of Barri Gòtic, Victor began his excellent tour of the area. 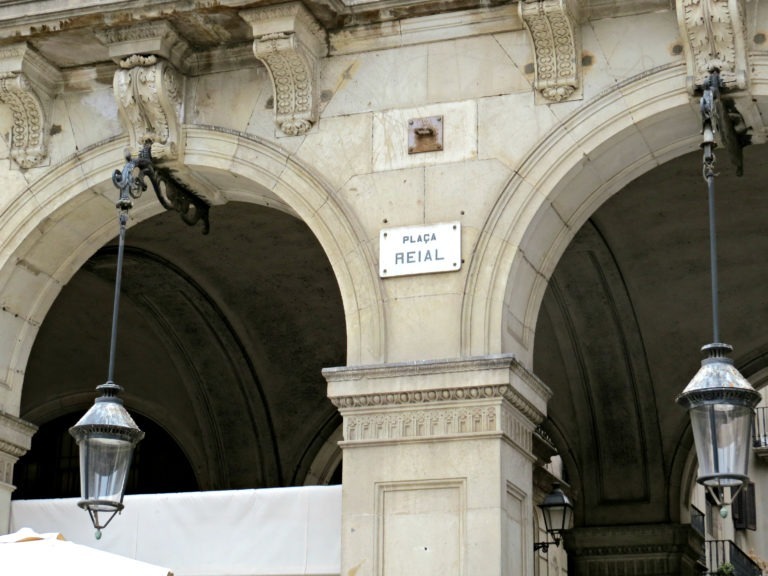 We started walking along La Rambla, which is the most famous street in Barcelona. 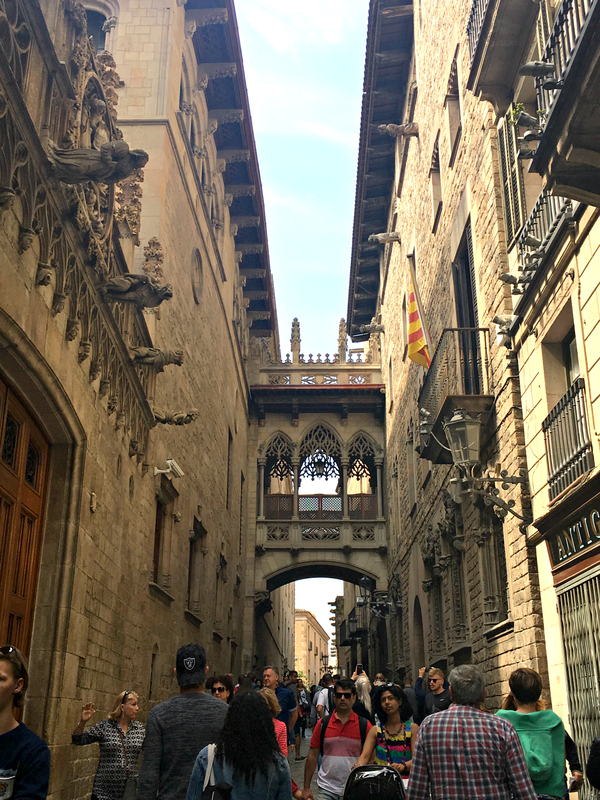 Not only is it a remarkable street full of life, it also acts as a divider between Barri Gòtic to the east, and El Raval to the west. It makes it very helpful in knowing where exactly you are in the city. 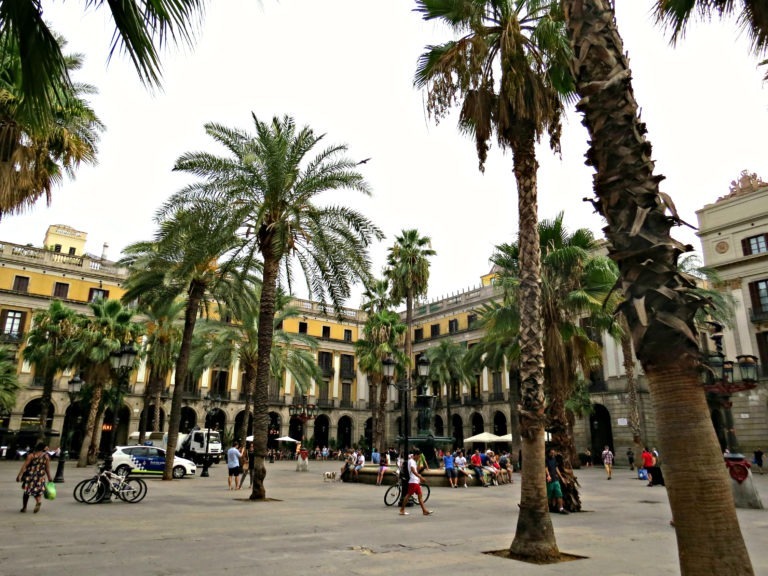 We landed in Plaça Reial, a beautiful square with lovely yellow exteriors. 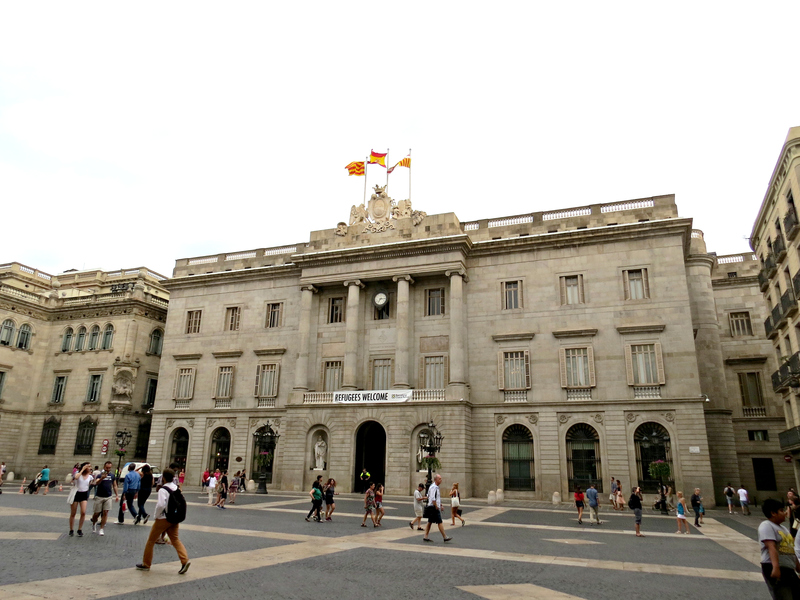 Our next stop was Plaça de Sant Jaume which is where both the Palau de la Generalitat de Catalunya and Ajuntament de Barcelona are. The square itself is quite beautiful and open, but I always find it interesting what these buildings hang in front. From ‘Refugees Welcome’ to rainbow flags, the Ajuntament is never shy to show its opinion on diversity and equality. Zigzagging through the labyrinth that is Barri Gòtic, we ran into Basílica de Santa Maria del Pi. 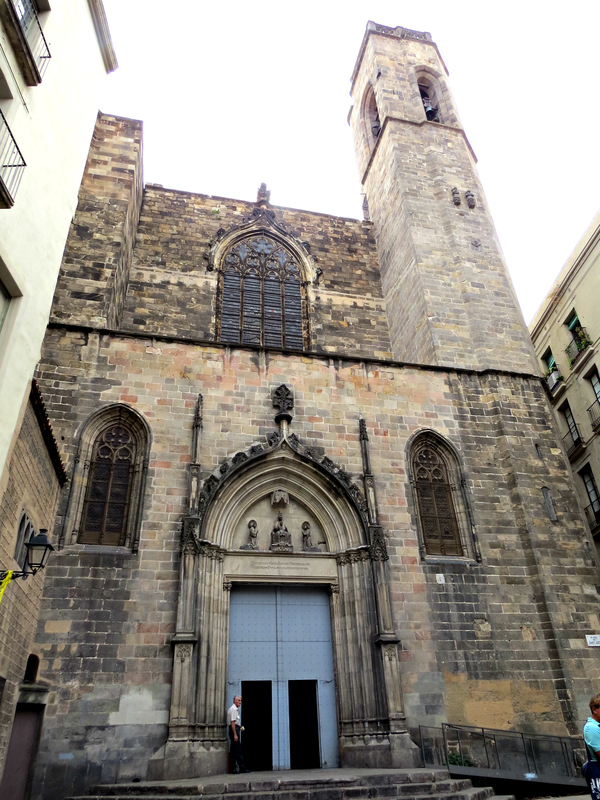 Santa Maria del Pi, meaning St. Mary of the Pine, is a 14th century Gothic church. 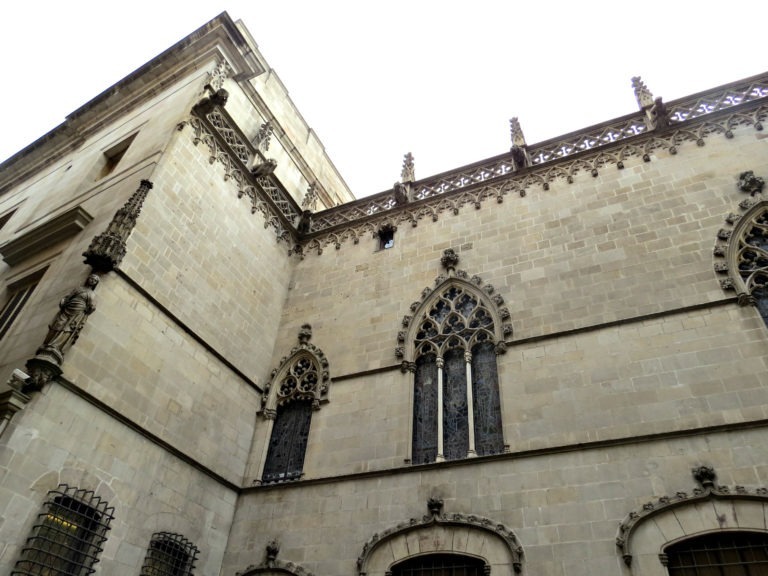 It is built in traditional Catalan Gothic architecture with its minimal ornamentation. The special characteristic of this church is the large rose window. 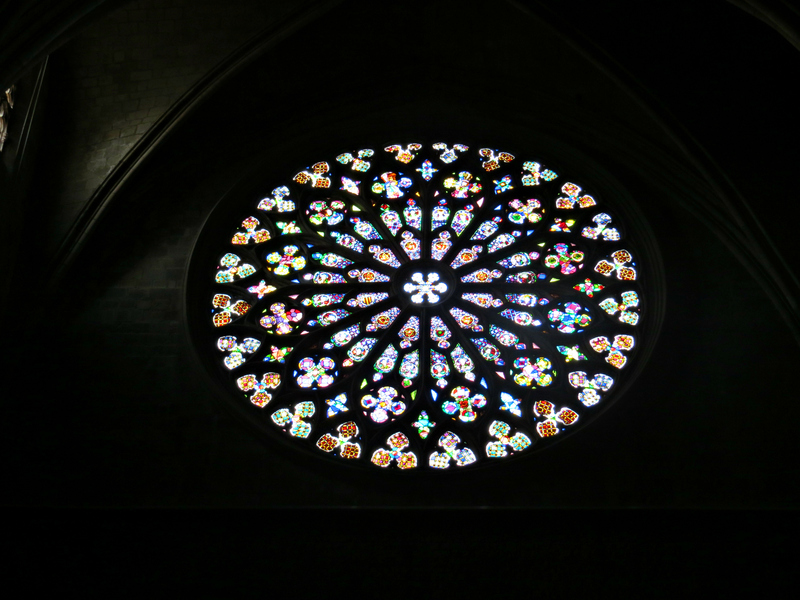 The original rose window was destroyed during the Spanish Civil War, but the restored version lives up to its history. Our next stop ended up being my most favourite place in the whole quarte: Plaça de Sant Felip Neri. 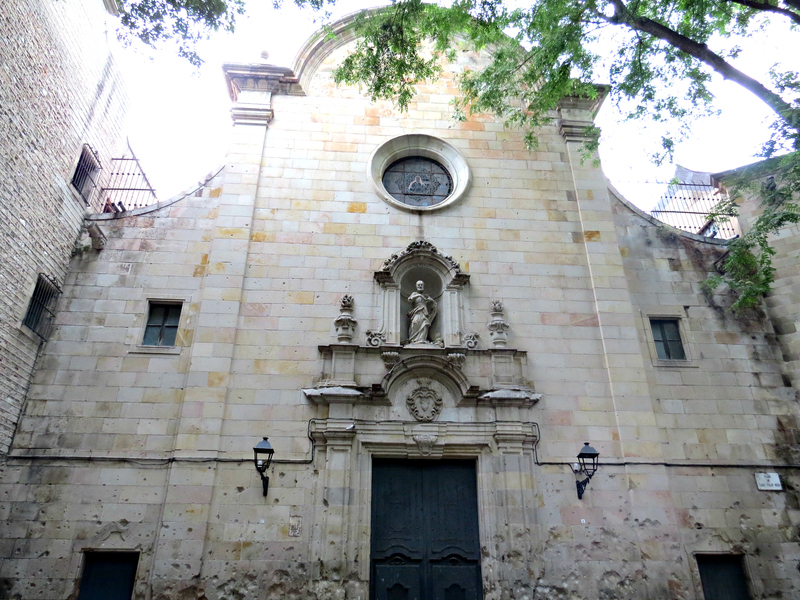 During the Spanish civil war, the Església de Sant Felip Neri was used as a home for evacuated children. 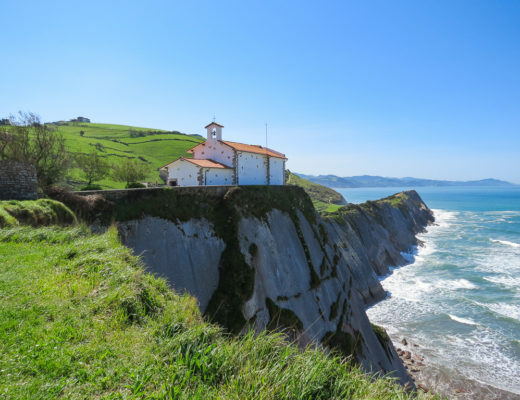 On January 30th, 1938 a bomb dropped by Franco’s air force exploded directly in front of the church killing 30 of the children who were sheltered inside. Shortly afterwards, while people were trying to rescue any survivors, a second bomb exploded in the square bringing the death toll to 42. 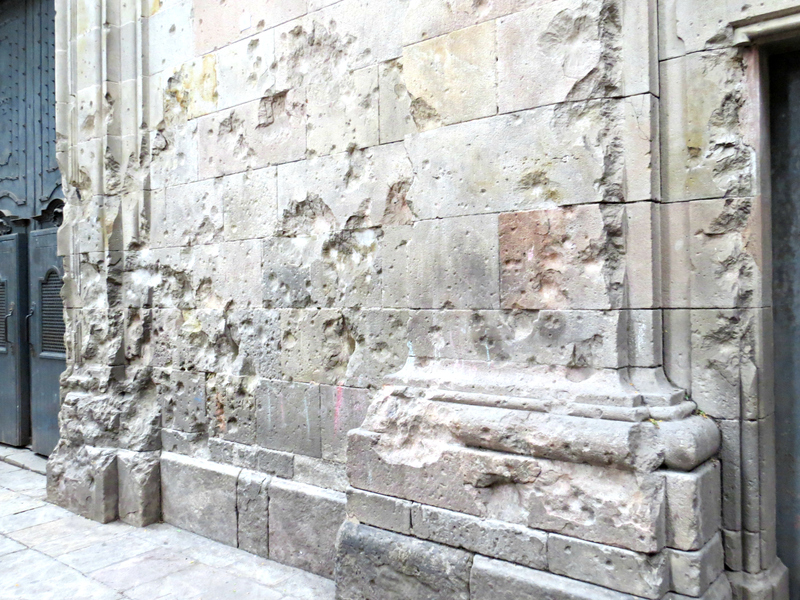 You can still see the bomb damage on the walls of the church. 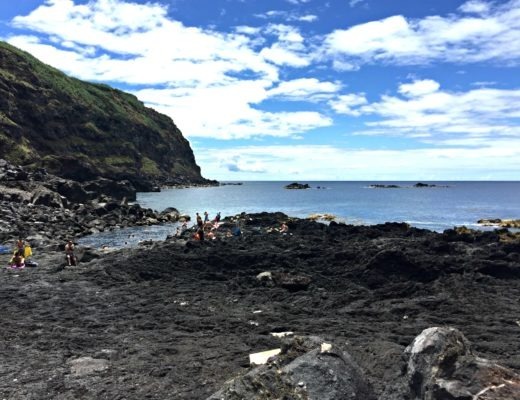 Today, the square acts as a reflective space. 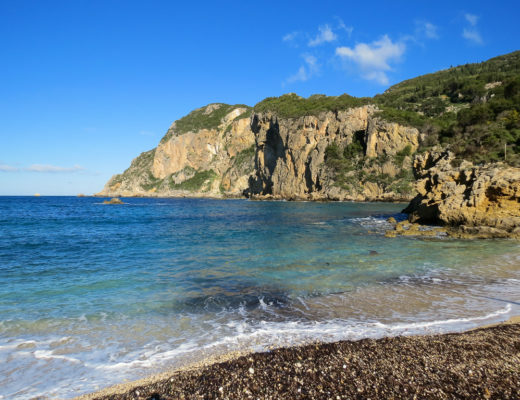 It is incredibly quiet and it is my favourite spot to go and contemplate. Lucky number three, Catedral de la Santa Creu i Santa Eulàlia (Barcelona Cathedral) is the main attraction in Barri Gòtic. The exterior is most definitely impressive. I actually have yet to enter the Cathedral because it is the only religious building which requires conservative dress, so here’s a good tip for all of you: don’t wear shorts and bring a shawl or scarf to cover up your shoulders. Nearby is Basílica dels Sants Just i Pastor. 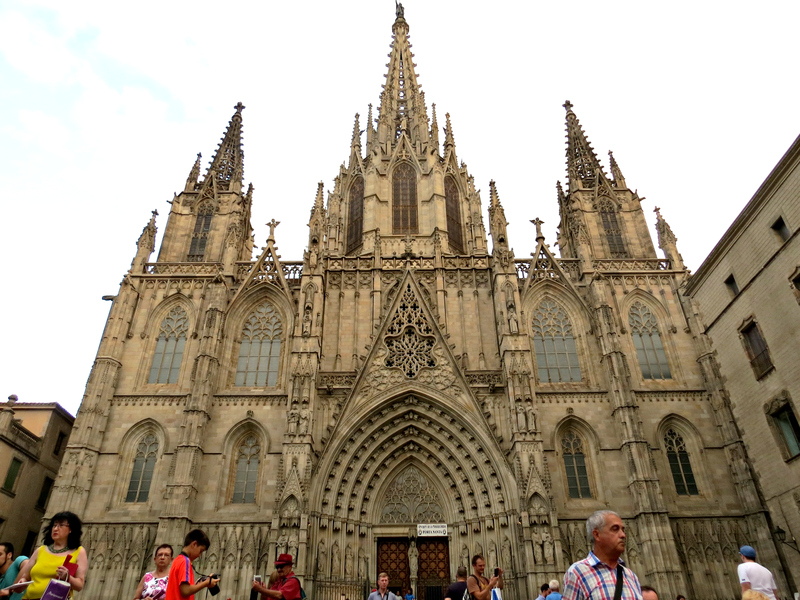 Many reckon this is Barcelona’s oldest church, but regardless if that is true or not, the church is spectacular. 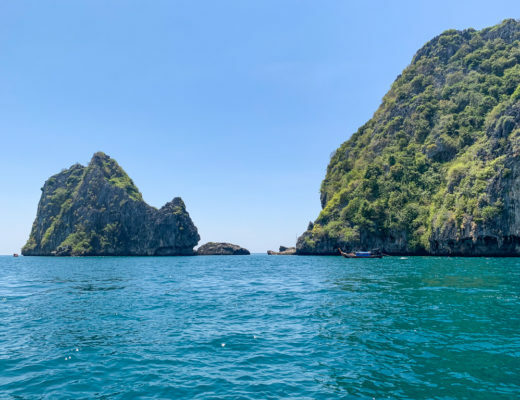 I see very few tourists explore this gem, but I really admire the interior. 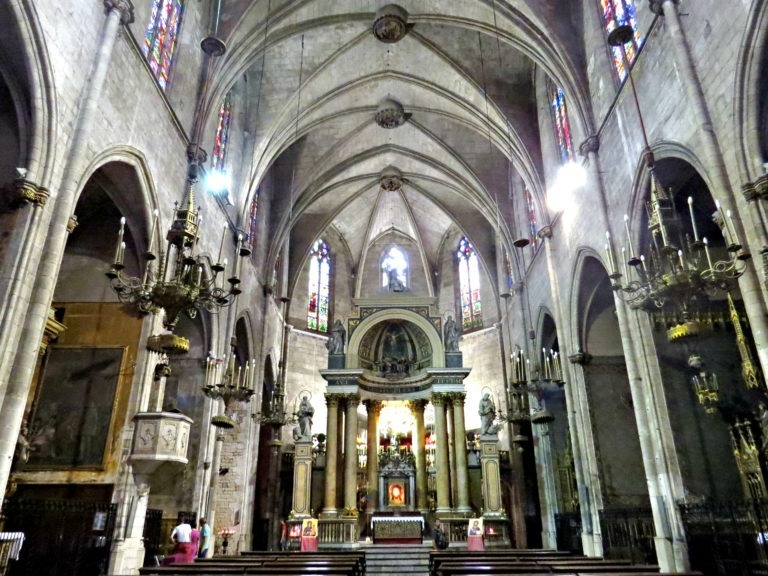 This minor basilica is dedicated to Saints Justus and Pastor, two boys who were martyred during the reign of Roman Emperor Diocletian. 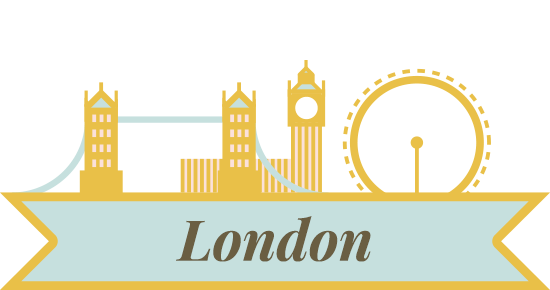 The church’s origins go back all the way to 801. Besides the great stained glass and gothic architecture, the church also features a 16th-century bell tower. 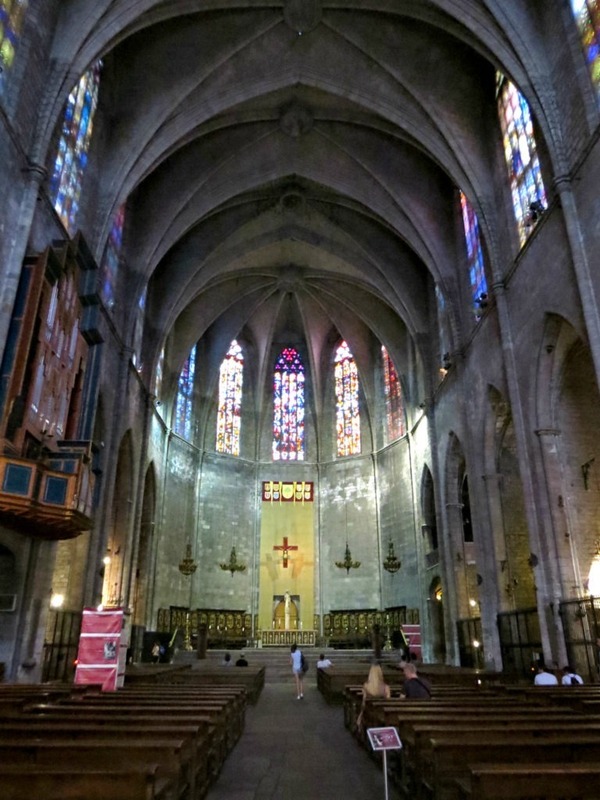 It is 35 metres tall and offers a 360-degree view of Barcelona! 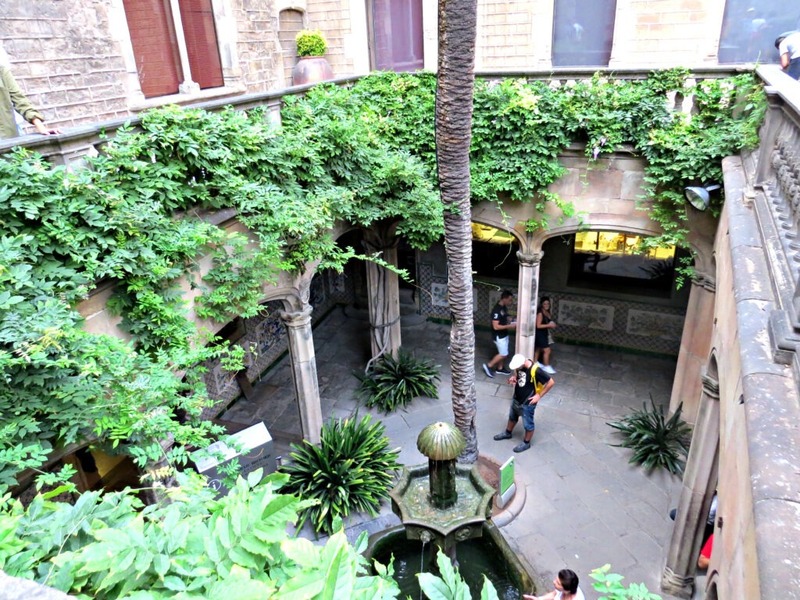 Another great stop in Barri Gòtic is the Barcelona City History Museum (MUHBA). 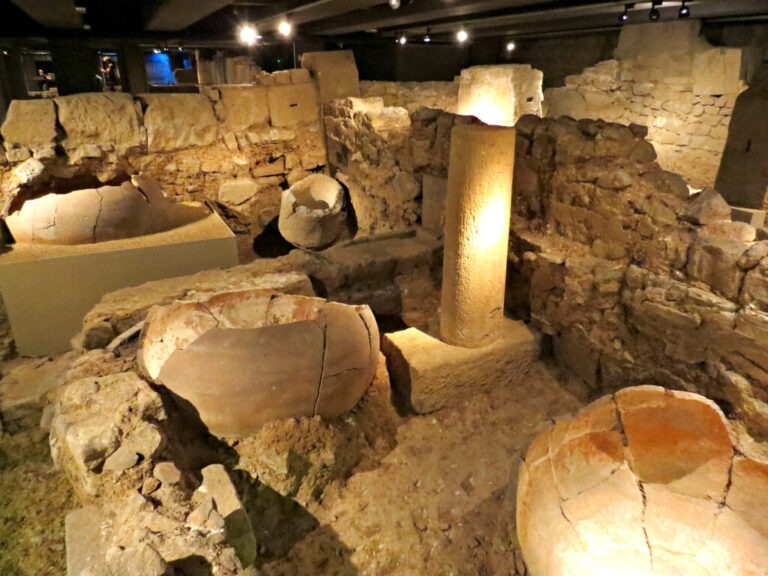 It is a huge museum which covers the history of Barcelona, from Roman times until present day. 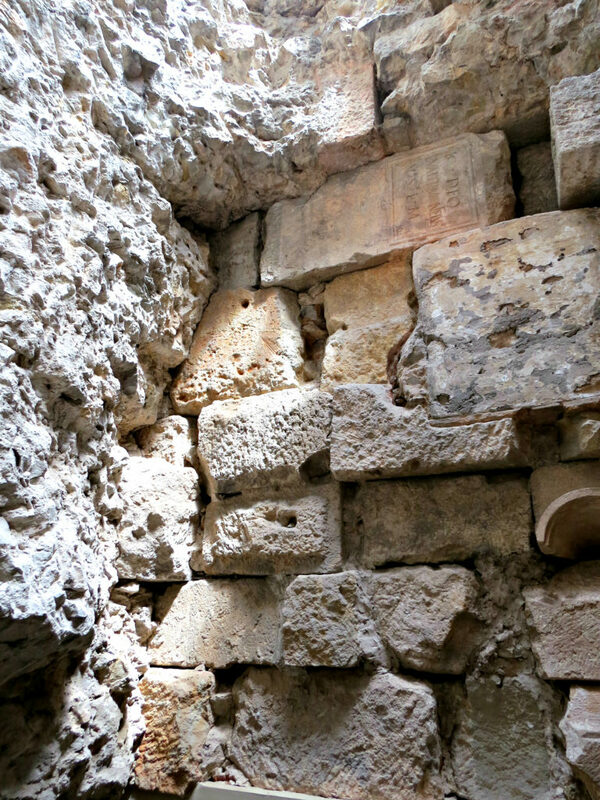 The majority of the museum hovers above city ruins. 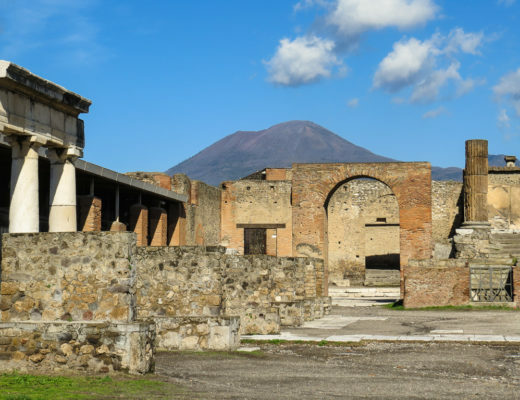 As you later discover, the city evolved from a church in this very spot. 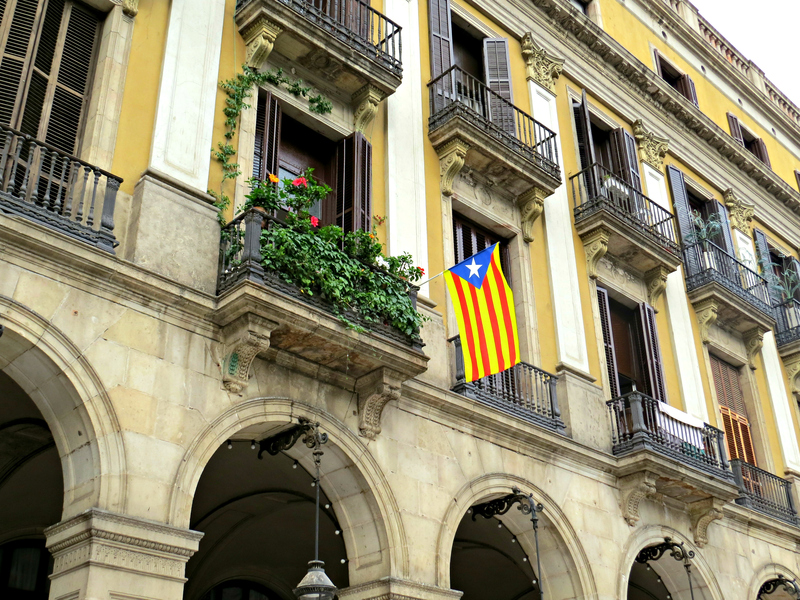 Barcelona has an interesting history because, unlike many large cities around Europe, Barcelona wasn’t always a big city. 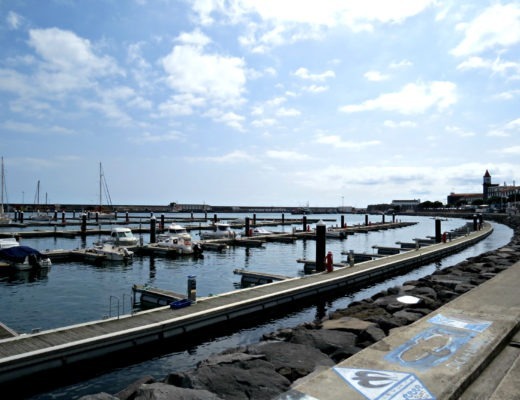 Barcelona was just a small fishing town. 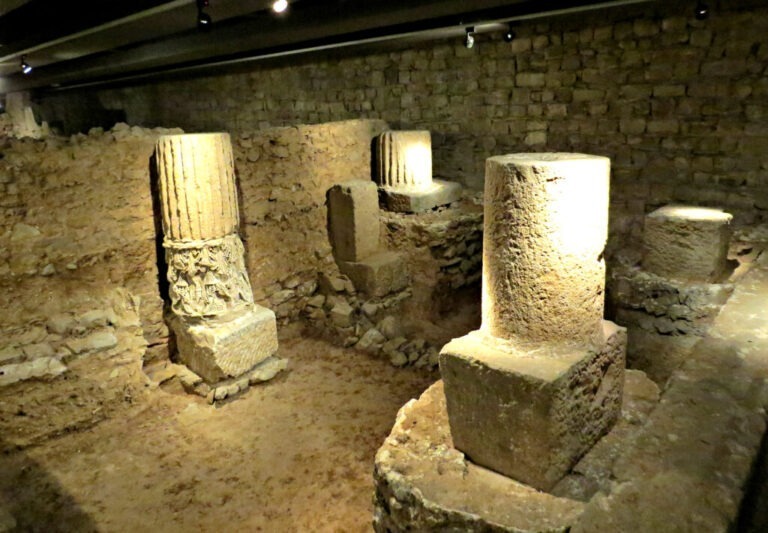 Tarragona was the more happening place, so Barcelona as a city is a relatively new identity. 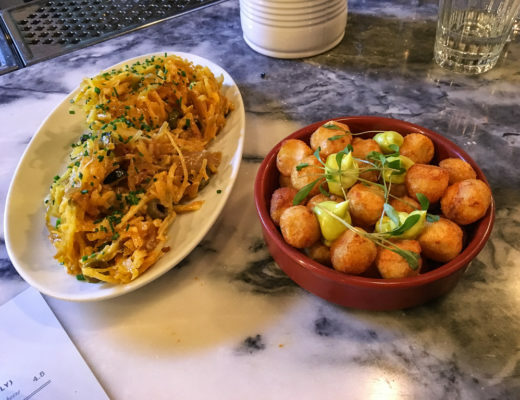 You can’t talk about any area in Barcelona without talking about food and drink. Barri Gòtic has got some amazing bars with great aesthetics. My favorite is Els Quatre Gats. 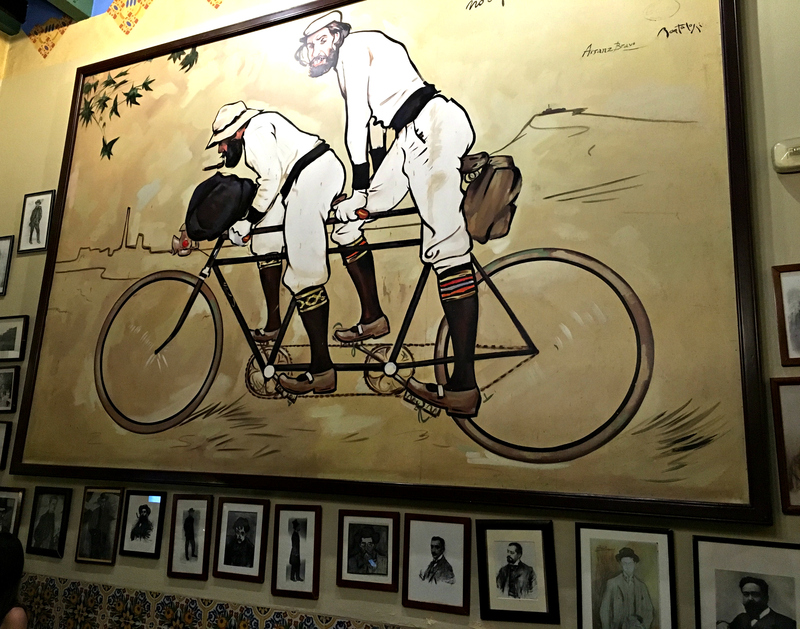 It became popular because many Catalan modernisme artists met up here, including Pablo Picasso and Ramon Casas i Carbó. The interior is incredibly unique and colorful, quite typical of modernisme influences. Even if you don’t come here for the food, at least grab a drink and enjoy the atmosphere. 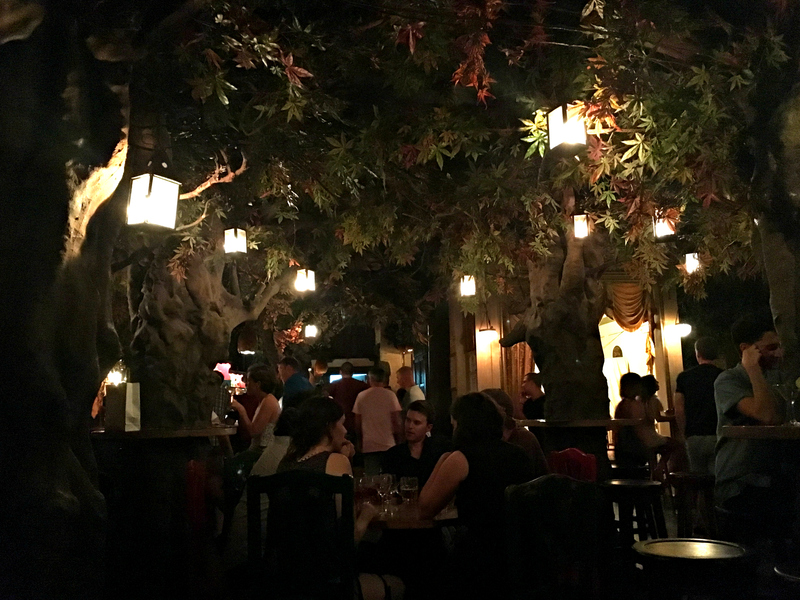 Another beautiful bar is El Bosc de les Fades. 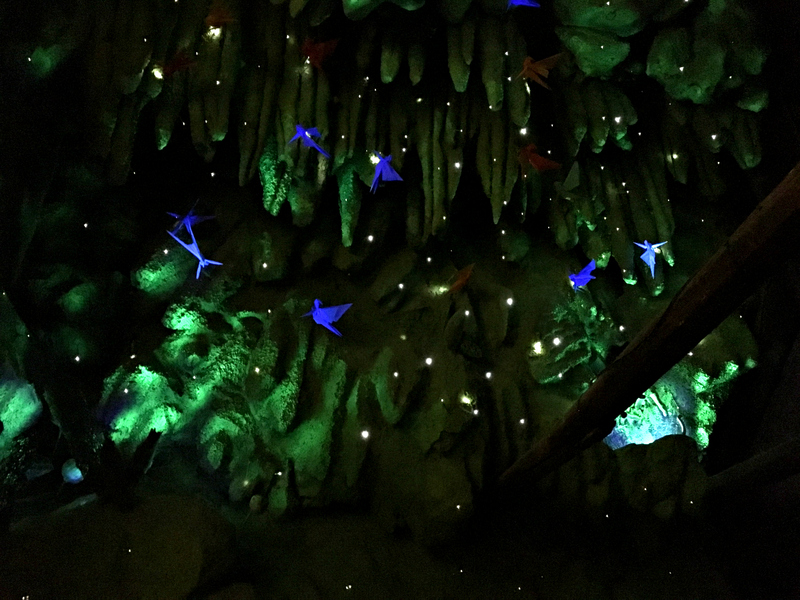 Inspired by a fairy forest, the bar has snaking branches, trickling waterfalls, will-o-the-wisp lights, and delicate fairies. It may seem a bit over the top, but most people (including myself) enjoy the novelty of it all.